It was 10 years ago when I went into one of The Body Shop stores. Back then I was living in Romania and in the center of Bucharest we had this amazing and fabulous The Body Shop store. I was so fascinated by everything they had, makeup and skincare. It was like a piece of heaven to me. I bought a very soft makeup brush, a lipstick and a body mist that was smelling divine, Moroccan Rose if I remember correctly. 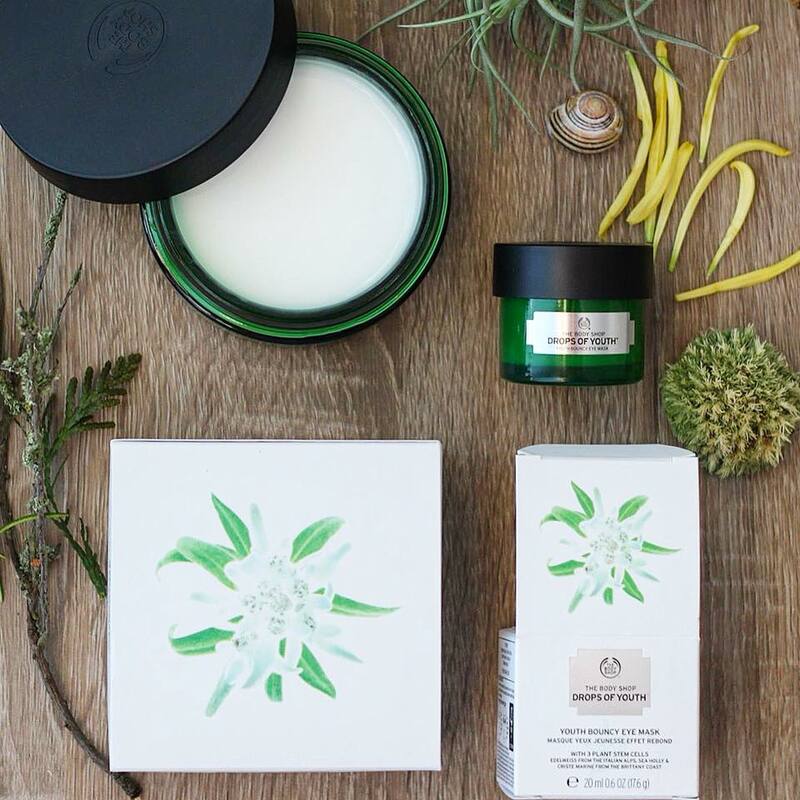 Today, The Body Shop is more than just a cosmetic brand that sells makeup and skincare. Their dedication for being so involved with preserving and helping to rewild the world, enriching the environments of many endangered animals (like the Malaysian tiger ), helping wild animals to thrive in their natural habitat. 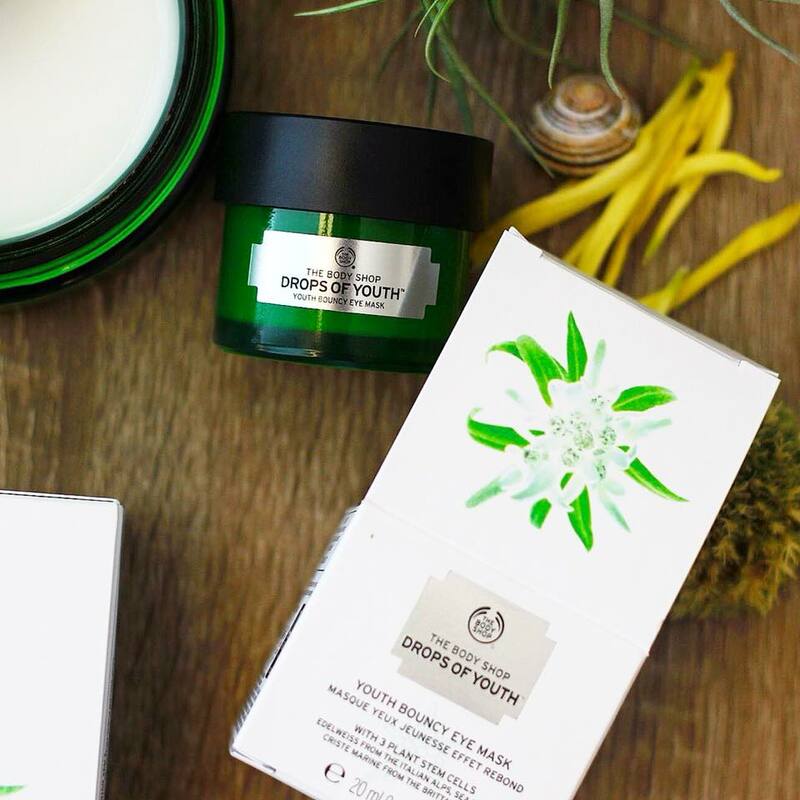 The Body Shop is now a part of a new global cosmetics group Natura & Co working together with other cosmetic brands to make beauty a force for good and for change. All of their products are cruelty free and they are constantly fighting to end animal testing in cosmetics globally forever. I simply love the fact that they are so involved in creating a better world for us, working fairly with farmers and suppliers and helping communities thrive through a Community Trade program, being 100% vegetarian and always and forever being firmly against animal testing and cruelty. I am really grateful to be able to discover and incorporate some of The Body Shop products in my skin care routine. Thanks to Hivency and The Body Shop I have received 2 skin care products from the Drops of Youth line: Youth Bouncy Eye Mask and Youth Bouncy Sleeping Mask. The Body Shop Drops of Youth Bouncy Eye Mask (20ml), is a power-nap for your eyes in a small and cute green jar. This product is 100% vegan, dermatological & ophthalmologically tested and it has been designed to help with depuffing bags under the eyes. Enriched with cucumber extract, Community Trade Babasu oil from Brazil and 3 plant stem cells ( Edelweiss from the Italian Alps known for its protective properties on collagen and hyaluronate levels, Criste Marine and Sea Holly from the Brittany Coast known for their renewing and restructuring properties ) this product can be applied to instantly give tired eyes a fresh and rested look or used overnight as a mask to boost and wake up your skin and make it look younger and healthier. This refreshing, non-sticky formula helps address the first signs of ageing to help skin bounce back to a more youthful appearance. I used it in the morning in a thin layer, before I applied my makeup and also during night as a mask and I was more than pleasant with the results. My concealer looks great over this eye gel, my under eye area looks and feels fresh, more plum and elastic. I find this product extremely moisturizing and calming, it feels like it cools down the skin around my eyes and seals the moisture in the skin. It does exactly what it says and it doesn't take a long time to see results. In less than a week my small dark circles were looking better, the skin was more bright and soft. I used to wake up with my skin really dry but since I use this gel mask, my skin around my eyes looks amazing, refreshed and like I had a moisture injection while I was sleeping. With every application my skin around my eyes was more hydrated and fine lines appeared to be smoothed. This is one of those products that does what it claims without costing a fortune and without being tested on animals. If you worry about mineral oil, paraffin and petrolatum,The Body Shop Drops of Youth Bouncy Eye Mask has none of that. This refreshing overnight face mask has been formulated to address the first signs of aging, for skin that feels softer and smoother when you wake up. An innovative bouncy, memory-shape gel cream that molds itself like a second skin, leaving an instant refreshing feel with a soft finish. 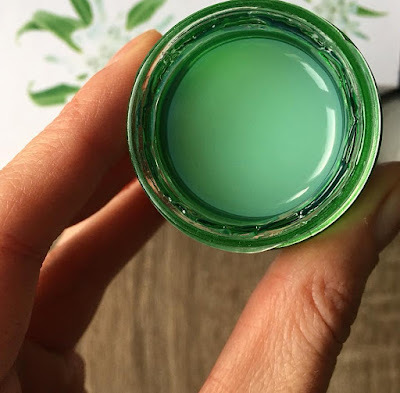 Every single word in this description above is simply correct and true; once applied to the skin The Body Shop Drops of Youth Bouncy Sleeping Mask instantly melts and becomes one with the skin, without leaving behind shine or a sticky film. This is a youth enhancing skin product that helps fight the effect of pollution on skin, helping to preserve a youthful and healthy appearance. Just like the rest of the products from the Drops of Youth line, Youth Bouncy Sleeping Mask is enriched with 3 plant stem cells; Edelweiss, Sea Holly and Criste Marine, helping fight the first signs of ageing. Stem cells are the renewal engine of a plant. Making it thrive and renew, they are one of the strongest regenerating powers in nature. I applied this product as a last step in my night skin care routine and instantly my skin felt super soft, supple, moisturized and really happy. My skin is really dry at times, specially during cold months and this night mask is really a life saver as my skin was so thirsty and uncomfortable. Youth Bouncy Sleeping Mask is non comedogenic and I think this will help restore your skin after a harsh and over drying acne treatment that sucked the life out of your skin. When I woke up and I saw how plum and soft my skin was I decided to use this mask during day too, over my daily moisturizer and before my makeup, I mean why not ? Loved the result! Foundation looks really good over this because it has glycerin and dimethicone, so Youth Bouncy Sleeping Mask not just for when u are sleeping ! This was for the first time when I used skin care with plant stem cells and I was really impressed with the results. I dont know if the plant stem cells really worked and regenerated my skin over night or if it was just a placebo effect that I got. Whatever it is it works really good and my skin looks happy and restored. What do you think about the use of plant stem cells in cosmetics, do you think it really works to revive and regenerate human skin ? ***** This is a sponsored post, I receive both products for free from Hivency and The Body Shop but I have not been paid and my review is completely fair and honest, based on the personal experience with the products. Interesting! Thanks for following me, I'm following you too!! I think its around 28 euro.I love it as an eye gel and mask and I will buy it also.you only need a small amount of products so from 20 ml I might use it for 5/6 months. I think is a new product in the Drops of Youth line.It really helps with puffiness,dark circle and fatigue. Just discovered sleeping packs this year! Thanks for this post, I would have known about this vegan option. We all want drops of youth! I still have to try sleeping packs :)Yes literally we all want drops of youth ! I love the body shop. They used to make a carrot cream mouisterizer that I absolutely loved loved! And they dont make it anymore ? sounds interesting and I would have loved to try it. Love the body shop, this drops of youth kit looks like something I could totally hop on board with. Going to have to check it out more! It sounds amazing and it's definitely something that I could use for my skin. Who wouldn't want soft and hydrated skin! This is definitely a must try! The Body Shop Drops of Youth Bouncy Sleeping Mask sounds like a fantastic product - I am always in The Body Shop. I will have to try it next time. Great Post! Thank you.This is an amazing product for everyone with dry skin! I love the sound of this mask. I haven't used Body Shop in years but I'm sure my teenagers would benefit from it. They have a lot of new products for mature skin,for example this Drops of Youth line is anti aging. I've been to the body shop a few times for various things but nothing that I stuck with. Hope this will work out best for my eyes! I have amazing results with the products from this line,no more puffiness under my eyes and the skin is so much more elastic. I would like to try the eye mask. It looks great. Will check that out. And its really affordable. My under eye area is transformed because of this eye mask,you can simply b use it as an eye gel by the way ! Oh wow it sounds like this works well and fast too. I need to look out for these they sound like lovely products. I love the sound of the eye mask, I need anything to help me in the mornings to make my eyes brighter! I know that feeling, i am already using this for 3 weeks now and I love the results,recommend it with all my heart ! This sounds like winning product for me. It really clings to my interest as I have eyebags issue that keep coming back. Thanks for sharing.